Tony Bradman on writing historical fiction for children. I had to admit they probably knew what they were talking about. I had become an author in a period I later came to think of as The Great Historical Fiction Drought. From the 1960s through to the mid-1990s (at least) the emphasis in children’s fiction had tended to be on contemporary realism. Some great historical fiction for children was published in those years, but it was definitely out of fashion – perhaps attitudes to historical fiction for grown-ups had something to do with this as well. The only ‘genre’ editors were more sniffy about was fantasy – amazingly, even Tolkien was thought to be a little old-fashioned too. I was disappointed, of course, even more so because historical fiction had played a huge part in making me want to be a writer in the first place. I had discovered the Viking and Roman stories of Henry Treece while I was at primary school – I remember the thrill of opening the Puffin edition of Horned Helmet and seeing Charles Keeping’s wonderfully evocative black and white illustrations of the Viking world. I soon moved on (aided by the free public library up the road!) to the books of Rosemary Sutcliff, some of which were also illustrated by Keeping. To this day my favourite novel is still The Eagle of the Ninth. I’ve always been a pragmatist, though, so I got on with the business of making a living as a writer. After all, I had to keep the wolf from the door, even if I would have liked to write stories set in periods when such creatures roamed the forests. I continued to write texts for picture books, but I was most successful with short fiction for beginner readers. I still read lots of historical fiction for pleasure. I discovered Patrick O’Brian, Bernard Cornwell, Gore Vidal – I think his book Julian about the fourth-century apostate Emperor is one of the best novels I’ve ever read – and many more. 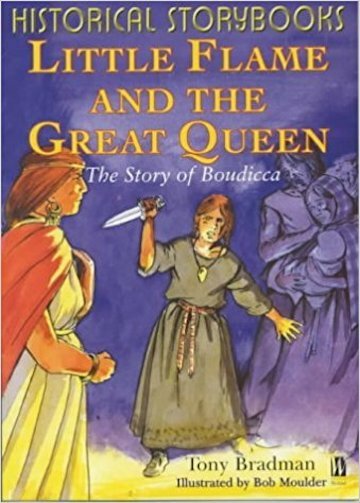 I even managed at last to persuade a publisher (Hodder) to let me write a story about Boudicca for the educational market. I called it Little Flame and the Great Queen, and it was a mere 2000 words long, but I loved doing it. Then things began to change in publishing, as they always do. A series of children’s books about a certain boy wizard led to a complete re-writing of the rules. Fantasy was back with a vengeance, and that led to a growing demand for longer, more complex stories. Up to then it had been assumed that modern kids were only interested in what they could access on a screen, and wouldn’t be interested in books. But suddenly they were making their parents queue up at midnight to buy the latest 700-page Harry Potter, and maybe pick up a copy of Philip Pullman’s Northern Lights while they were at it. One happy consequence of this was that publishers looked at other kinds of books that might do well in the wake of the fantasy boom, and the obvious genre was historical fiction. I had still occasionally tried to persuade a publisher to let me do a historical story again, and then one day – to my surprise – I got a positive response. The educational publisher A&C Black (now Bloomsbury Education) launched a series called Lives in Action and asked me to write a story about Spartacus. I jumped at the chance. The Kirk Douglas film is my second favourite movie of all time – the top one being Kirk’s The Vikings, of course. The rest, you might well say, is history. Since then I’ve written a lot of historical fiction for young readers, most of it in short forms aimed at what publishers these days call ‘middle-grade’, a term adopted from the US – that’s children more or less between the ages of eight and 11 to you and me, although I have a feeling kids up to 14 might read it too. I’ve written more for Bloomsbury Education, including a couple of books with a co-author I’d been training to enter the family business ever since he was born, i.e. my son Tom. 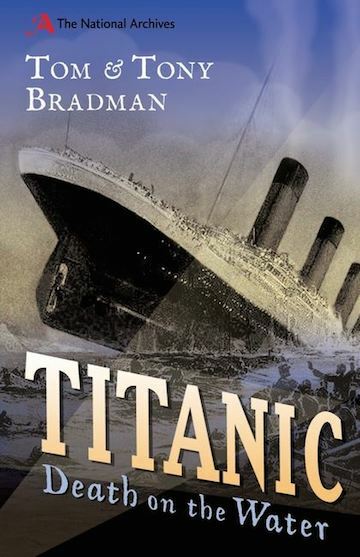 We were asked to write a story about the sinking of the Titanic for 2012, the centenary of the disaster, and our book – Titanic: Death on the Water – won a History Association Young Quills Award. Publishers like big anniversaries for the free marketing they provide, so it’s no surprise that our next Bloomsbury Education title was a First World War story published in time for the centenary of 1914. (Not that I was opposed to the idea of tackling the period – I’d been fascinated by it since I had studied the poems of Wilfred Owen for my English Literature A level.) My Brother’s Keeper is about a 15-year-old boy soldier on the Western Front, and was shortlisted for a couple of prizes. Tom and I also collaborated on two short WW1 books for Franklin Watts – Duel in the Sky and Through Mud and Blood. And last but not least, I edited an anthology of short stories about the war by some of today’s best children’s writers, including the then Children’s Laureate Malorie Blackman. Stories of World War One was published by Orchard Books and did very well. Last year saw the 400th anniversary of Shakespeare’s death, and I’ve always been a fan of the greatest writer of all time bar none, so I was keen to write something, I ended up surpassing myself by doing not one, but two books about him. The first was The Boy and the Globe, a comedy about the end of Shakespeare’s career, and an orphan boy who helps him to find his joy in writing again (I may have been feeling a little jaundiced about the writing life at the time). The second was called Master Will and the Spanish Spy, a story in which we encounter a teenaged Will at a time when his father was having financial problems and giving his son a hard time, set against a background of religious upheaval. Both were published by an excellent small company called Barrington Stoke, whose USP is that they produce books for kids with reading problems. I’ve written quite a few titles for them, including one about the great Viking Harald Hardrada (Harald Hardnut), and another about Hadrian’s Wall (Assassin). I also wrote a book for them for the anniversary of the Gallipoli campaign in the First World War – Anzac Boys is based on what happened to my own grandfather, who was sent to Australia as an orphan and fought at Gallipoli. You can probably tell that I have wide-ranging historical interests, but if I’m to be honest I’ll admit that my favourite period is the Viking age. There’s just something about the combination of action and fatalism in Viking stories that is so cool. So writing Viking Boy was a high point for me. The publisher (Walker Books) had initially asked me if I had any ideas that would make a good story for a graphic novel, and I came up with an outline for a tale in which a boy swears vengeance on his father’s murderer, then goes on a quest to find a way to achieve it. They liked it, but eventually we decided to do it as a proper novel. Luckily I had one in mind. I had done a lot of reading about 1066, and became fascinated by the Godwin family, who seemed to have been the Sopranos of 11th-century England, a powerful clan involved in the politics of the time. Harold Godwinson was the last Anglo-Saxon king, famously killed at the Battle of Hastings, but my research had turned up an interesting fact – Harold had a number of sons, including one called Magnus who was probably 15 in 1066. I soon realised he was my character, and in telling his story I would be able to illuminate the power politics and family squabbles that lay behind one of the greatest upheavals ever to occur in the history of these islands. 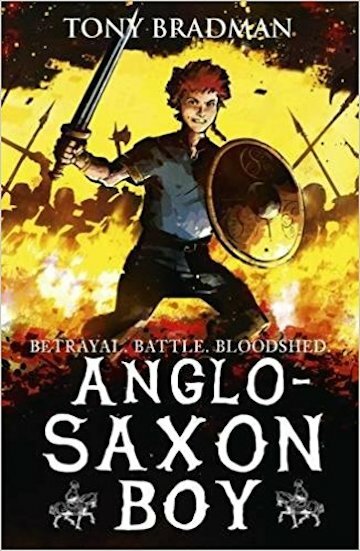 The story I wrote is called Anglo-Saxon Boy, and it was published by Walker in March of this year. Those of you who know anything about the teaching of history in schools might have noticed the influence of the National Curriculum on what publishers have asked me to write. Children in primary schools study the Romans, Saxons and Vikings, the Tudors, the two world wars… I’ve done books on all those themes. Revolt Against the Romans is my latest Bloomsbury Educational title, a re-imagining of the story of Caratacus; and I’ve done a WW2 evacuation story (I Was There: Escape from the Blitz) and even a story set in another period kids often do work on, the Swinging 60s – I wrote a book about England winning the World Cup in 1966 (World Cup Final), both of those for Scholastic. To sum up: this is a very good time to be a writer of historical fiction for children. There is certainly a market for well researched, well written stories with strong plots, although you might find it hard (but not impossible!) to sell a story that doesn’t fit into the curriculum strait-jacket. I’m only one of many children’s writers in the field at the moment – have a look at the books of Tanya Landman, Linda Newbery, Paul Dowswell to name but a few. The more the merrier – and long may this happy state of affairs continue! 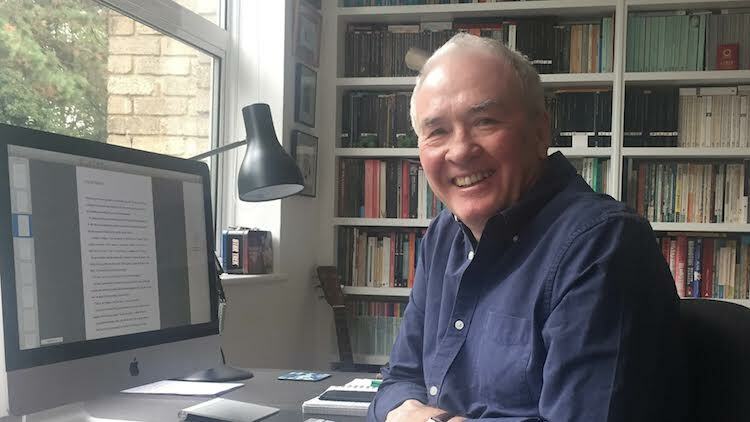 Tony Bradman reviews children’s books for The Guardian and is chair of The Authors’ Licensing and Collecting Society (ALCS) as well as The Siobhan Dowd Trust. His latest book, Revolt Against the Romans is out now.